MUJI’s New York store is located in the New York Times building, which was designed by Prizker Prize-winning Italian architect Renzo Piano. 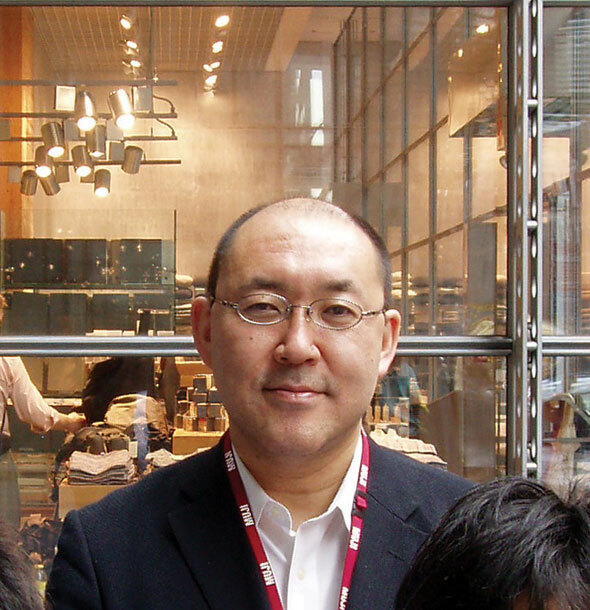 The grand, modern, and open structure perfectly suits MUJI’s aesthetic and is where the company’s North America president, Hiroyoshi Azami, has agreed to meet to tell SOMA more about MUJI. Defining MUJI however, is easier said than done as the company is not a brand dictator; but rather serves as a facilitator and a helping hand in our current lives. In this day and age of heavy brand messaging, MUJI’s brand silence is rather refreshing. MUJI first opened its doors in 1980, with a dedication to making the efficient affordable, and well-designed products that make life easier. MUJI’s philosophy states: “MUJI is not a brand whose value rests in the frills and ‘extras’ it adds to its products. MUJI’s product range is endless – with clever solutions in the areas of household goods, innovative health and beauty products, electronics, sustainable apparel, creative arts and crafts, and inspiring stationery. Its products are uniquely designed for small spaces. They include tiny sofas, well thought out storage solutions, and streamlined travel items all devoid of branding details, which allows them to fit subtly into any interior. Popular items such as its $38 portable cardboard speakers, essentially tiny three-inch cubes, are a design phenomenon. MUJI has also designed gloves that are iPhone friendly – meaning you don’t have to remove them in cold weather to work with the touchscreen – with Winter on the horizon, who doesn’t need that? Many of MUJI’s products have more than one use. For example, MUJI towels are made with a beveled area that creates a nice pattern, but the bevels also facilitate cutting the bath towel into household washing cloths once the towel has begun to wear. Essentially, the products evolve in your life and are prudent in their ability to serve. MUJI has also created socks that are made from leftover yarn from other apparel. At another company, these socks wouldn’t even exist; the extra yarn would be discarded and tossed into a landfill. However, MUJI had the vision to produce colorful socks at a very reasonable price from excess yardage. The net result used all resources and produced less waste – while sending a positive environmental message – and allowing customers to participate in contributing to a better world. The company is also developing environments for children and has an avid interest in schools and education. The company has even designed chairs that children can customize and personalize. 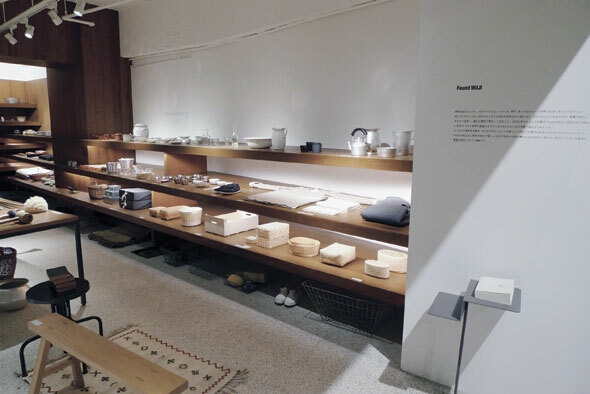 MUJI’s pursuits in innovation are limitless because by definition they are indefinable. The company’s stance on non-branding works both ways. It doesn’t impose a brand on its customers and avoids intrusive branding on all of its products. At the same time, this openness allows the company freedom to create without limits. MUJI has hinted at providing services and hotel environments, creating functional well-designed spaces with a focus on simplicity. They are also opening another innovative space in the heart of San Francisco’s South of Market District next month. Never to be boxed in, Azami and MUJI continue to focus on developing items that are essential, helpful, and lifestyle enhancing – whatever form it comes in.